Spitfire Mk. XVI being served by the personnel of No. 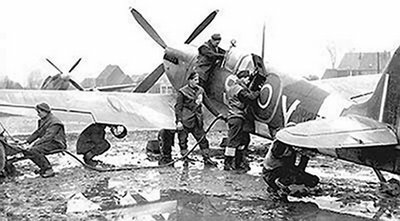 441 Squadron RCAF, somewhere in the Low Countries during winter 1944-1945.